For my kids it’s the dreaded last week before school starts back up again. That means we have to try to cram a million things into one week that we’ve wanted to do all summer. I don’t know how it goes so fast! We have a beach boardwalk day planned, the movies, a birthday to celebrate and probably some last minute shopping. I always try to get all of their school supplies before school starts so at least that’s out of the way. I know I will need to go out the first week anyway because there will be some oddball item on a teacher’s list that I didn’t get! 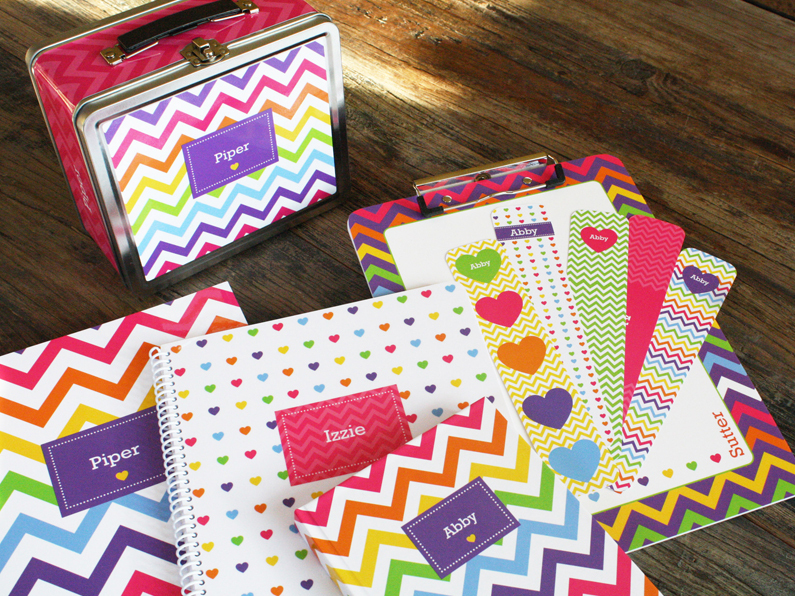 To help with your sanity and also to make your kid a superstar at school, why not shop online for personalized school supplies? 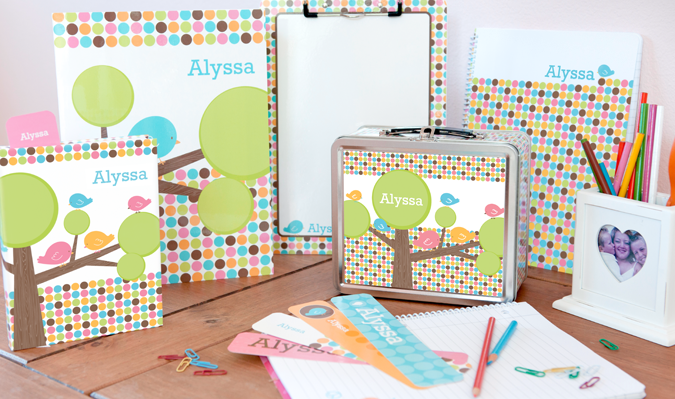 We have a great selection of school products at Frecklebox.com, everything from binders to lunch boxes all in coordinating patterns. The hardest part for you will be getting your little cutie to pick their favorite. 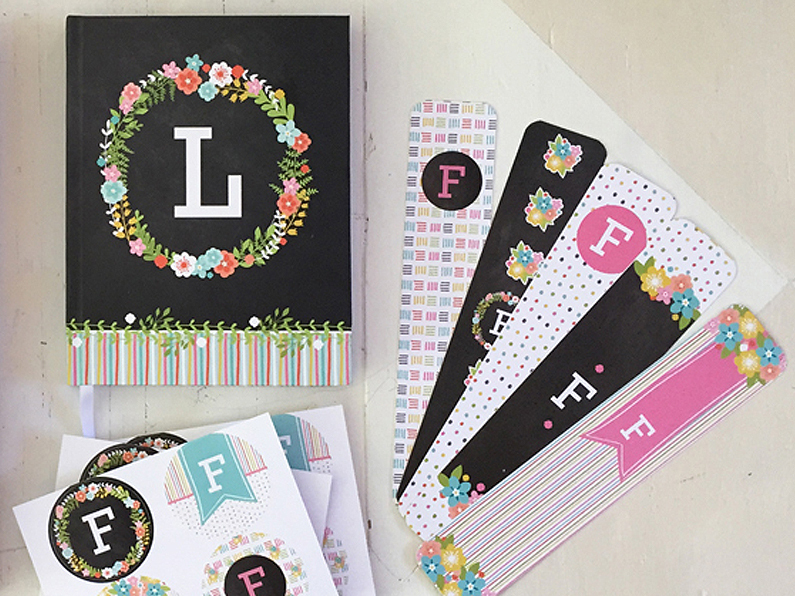 To see all of our patterns click on the Frecklebox link above or to go to these designs specifically, Rainbow Chevron, Cutie Birds and Floral Monogram.